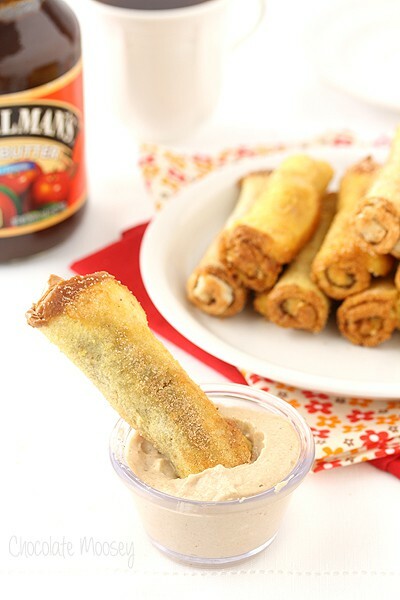 Warm French toast roll ups stuffed with apple butter then tossed in cinnamon sugar make brunch much more exciting, especially when you dunk them into apple butter cream cheese dipping sauce. I am not a morning person. I hit snooze more times than I care to admit. I’d rather stay up until midnight than wake up at before 8 AM. Unfortunately, that won’t work during the week when I have to get up at 6 AM for work. Breakfast becomes something quick and small – a bagel, oatmeal, fruit, a cookie. Because life is hectic during the week, every Sunday I make an effort to cook a nice breakfast (although sometimes breakfast can turn into brunch if I’m busy Sunday morning). 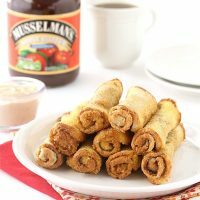 Today I am partnering with Musselman’s to bring you Apple Butter French Toast Roll Ups with Apple Butter Cream Cheese Dipping Sauce for a fun new way to eat your morning meal, whether you eat breakfast at 8 AM or brunch at noon (plus a chance to win an awesome Musselman’s apple butter prize pack). I have been making French toast for as long as I can remember because it’s one of those recipes where even the most novice cook can make. In fact, one of my first breakfasts to make while studying abroad in Ireland was French toast. I don’t think I learned how to make pancakes and waffles until my last year or so of college. I also find French toast boring sometimes. Pancakes and waffles you can change the batter in a variety of ways, but French toast? Not so much. How do you make French toast more exciting? By stuffing, rolling, and dipping them. Very similar to French toast sticks I had as a child but filled with apple butter goodness. This recipe is perfect for a crowd, especially if you invite people over for brunch. Normally you’d cook French toast one slice at a time in a skillet. By the time you finish the last one, everything is cold. 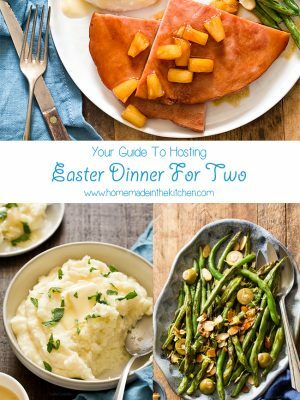 If you serve them as you make them, then everybody doesn’t eat together. By baking the rolls, all of them will be ready at the same time, meaning you can spend time with your loved ones as you devour breakfast (or brunch). Preheat oven to 375F. Line a baking sheet with a silicone mat or grease really, really well (the roll ups will stick if you aren't prepared). Flatten one slice of bread to about half of its original thickness. Spread roughly 1 tablespoon apple butter evenly on top. Roll up bread and set aside, seam side down. Repeat with the remaining bread. In a bowl, beat together the eggs, milk, 1/4 teaspoon cinnamon, and nutmeg. Dip each roll up into the egg mixture, completely covering and shaking off the excess. Place on the baking sheet. Bake 10 minutes. Pull out of the oven, brush the top side with melted butter, flip each roll then brush the bottoms with butter. If they stick, gently use a spatula to loosen them. Leave bottom side up and bake another 10 minutes. In a small bowl, add the sugar and remaining 1/2 teaspoon cinnamon. As soon as the roll ups have finished baking, roll each one in the cinnamon sugar mixture. 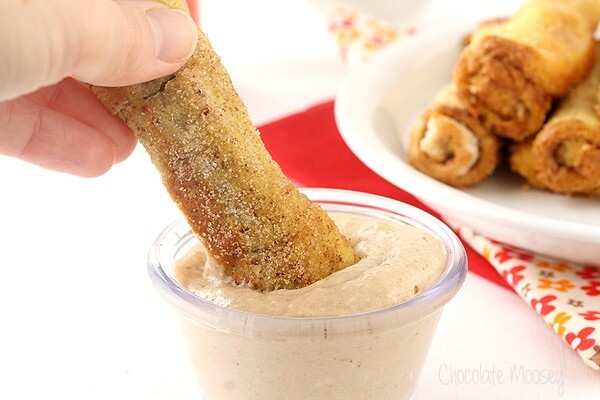 Serve warm with dipping sauce. While the roll ups are baking, make the sauce. 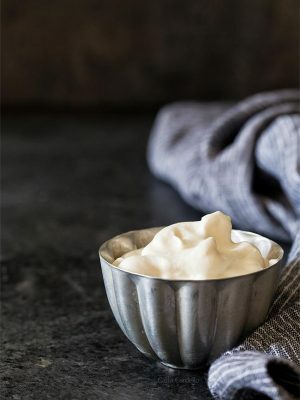 In a medium bowl, beat together the cream cheese and apple butter until smooth. Gradually beat in the sugar then beat in the milk. 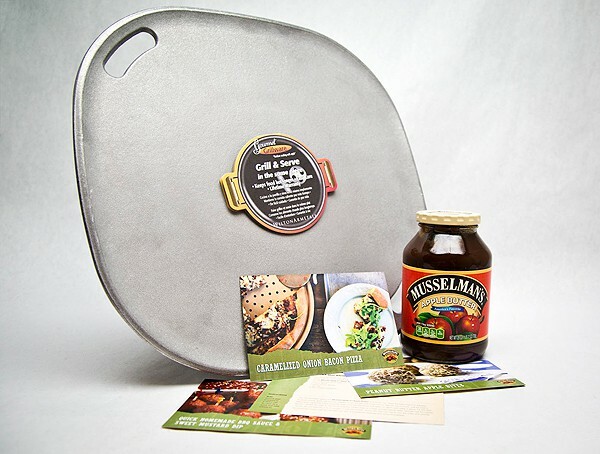 For more apple butter recipes, make sure you follow Musselman’s on Facebook, Twitter, and Pinterest. 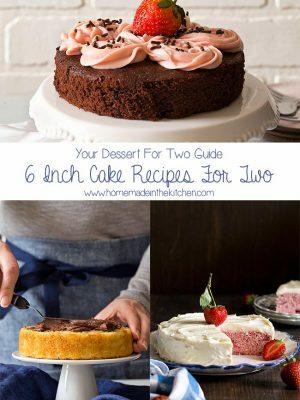 You can also download their free e-recipe book. To enter, follow the directions in the Rafflecopter widget below. All you need is a valid email address or a Facebook account. Deadline is February 5, 2014 at 11:59 PM EST. Open to U.S. residents only. The winner will be emailed and have 48 hours to respond. Failure to respond will result in forfeit of the prize, and another winner will be chosen. Disclosure: I was compensated for developing this recipe but all thoughts are my own. Musselman’s Apple Butter is a product I use and support, even without compensation. 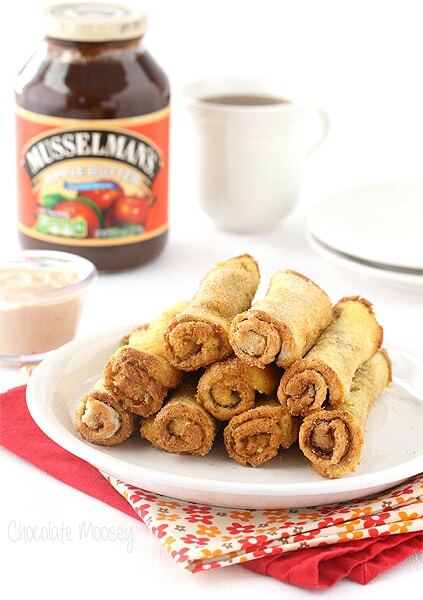 The Apple Butter French Toast Rollups look pretty tasty. I’m thinking either the Sweet and Spicy Beef Nachos or the Asian Chicken Sliders from the Musselman’s recipe book are on my list to try first. I love french toast and this sounds so good. I am going to try it this weekend. These are so cute. Perfect for little hands. I like that they are cooked all at once in the oven. Oh how I love apple butter. It takes me back to childhood when mom used to make it. Mmmm so good on homemade bread. This looks awesome and quick enough that I could even make them for breakfast on school mornings! How clever! 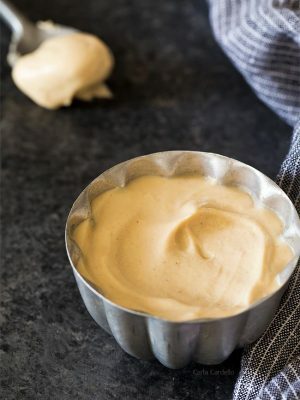 Apple butter is so delicious; what a fun recipe! Good Lawd there is so much goodness stuffed into each delectable little roll! 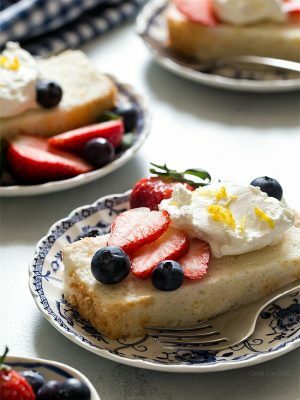 What a fabulous way to spice up French toast! This was one of the first things I ever learned to cook too, Carla. When I was hungry in high school and wanted a snack, I had three go-to meals: pizza pockets, instant noodles, and french toast. I love it so much. 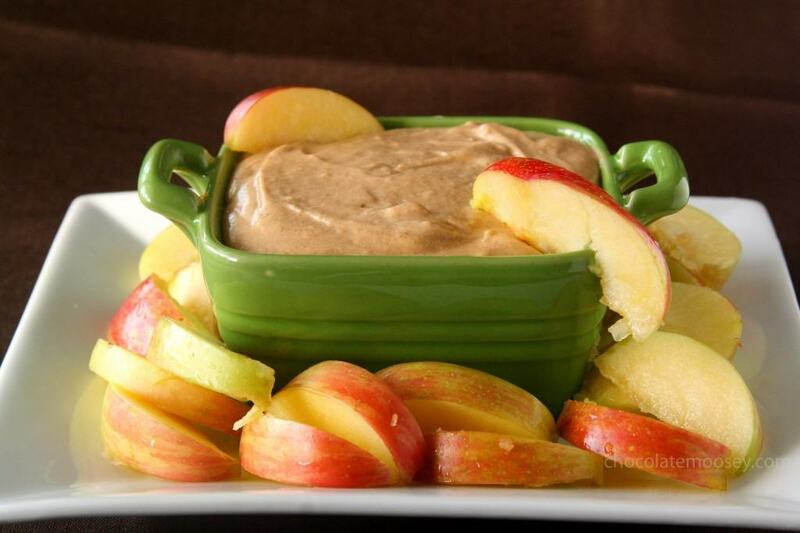 I love this apple butter and apple butter dipping sauce even more! I’m still guilty of ramen noodles. 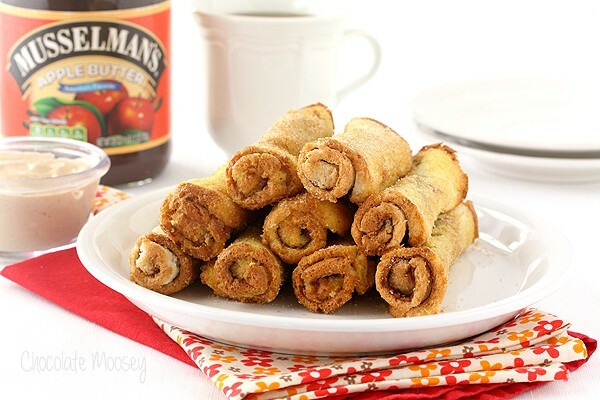 Your Apple Butter French Toast Roll-ups sound like a good start or I might try some apple butter cinnamon rolls. Everything is good with apple butter on it! 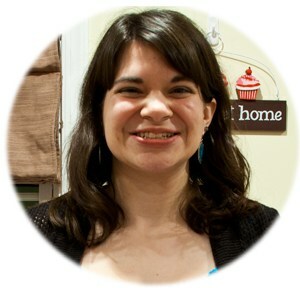 I adore apple butter, and will probably make the Cinnamon Oatmeal Bars from Musselman’s ebook (thanks!) this weekend. Carla, these are brilliant! They look so fun and must taste amazing, great idea! 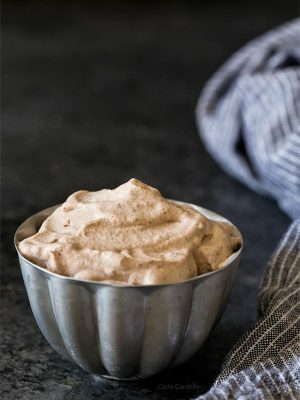 I like to put apple butter on my ice cream! Weird? Totally. Delicious? Yes maam! Not weird at all! I eat apple butter cheesecake ice cream. Wow, these look so delicious! I’d love to make them myself! This is so clever and I would have never thought of making french toast this way! 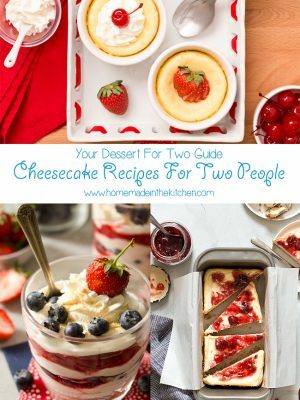 I will be making this recipe! These look fantastic!! I would make an apple cake! apple butter is great on toast! I LOVE apple butter with cream cheese on Gluten free toast! We love apple butter on our pancakes! 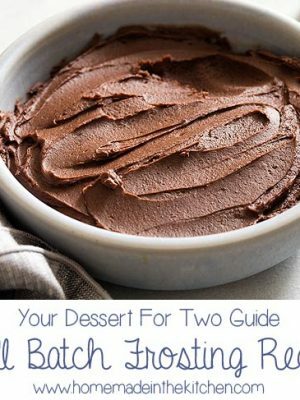 I’d also probably give this recipe a try. It looks delicious! I’d use apple butter to make muffins. I went looking their recipes and they have for banana apple struesel muffins that would be really good on a snowy frigid day. I’d put apple butter on my pancakes! These are so fun! The Bug and I have to make them! I will be making these Roll Ups with the Apple Butter! I’ll make an apple butter and banana wrap. 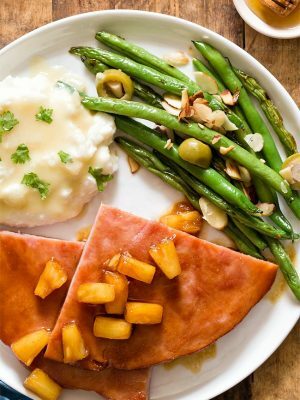 We have a breakfast club at my school on Fridays – I think this would be a PERFECT dish for a crowd, cook ’em up ahead of time and then just warm them in the oven before heading off to work, love it, so easy and fun and delicious! Breakfast club?! Sign me up! i like to saute apples and coat them with some apple butter! I just made these and they were YUMMY!! I shared the link on FB …..
Have you tried this recipe with wheat bread? Just trying to make it a tad more healthy. I’d be curious to know if the consistency of the bread would throw off the recipe. No, I’ve only tried it with white bread. I would imagine it would work just as well with whole wheat. 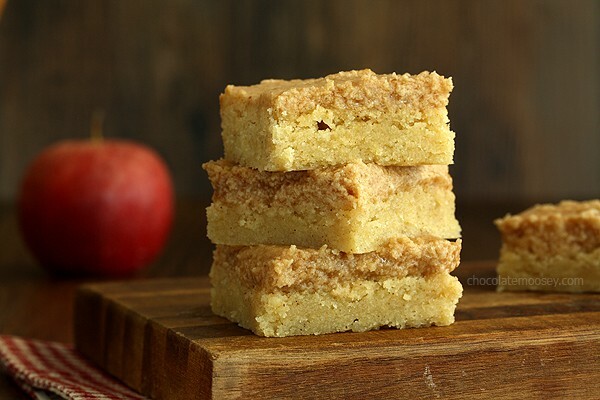 Theses look like they would work better than the ones I tried with chopped apples in them. They didn’t want to roll and the apples tended to fall out. This will be Saturdays breakfast. I need to make these immediately! So pretty! My mouth is watering ! !